Llafur : the journal of the Society for the Study of Welsh Labour History is a journal published in annual parts (four parts to a volume), containing scholarly articles and book reviews relating to labour history and people’s history. It also contains society notes. 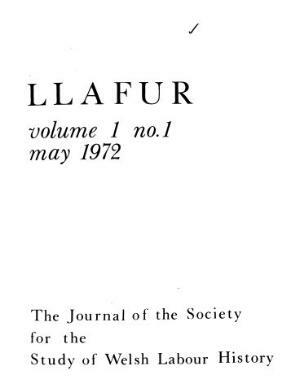 Publisher Details: Llafur: The Welsh People’s History Society was founded in 1970 (as Llafur: the Society for the Study of Welsh Labour History) to promote the study of the labour and people’s history of Wales. Its main activities are publishing the journal Llafur and individual books.